"FIT THE HOME TO YOU, NOT FIT YOU TO THE HOME." There is a couple of ways to customize. With Options. You pick and choose all the options that you want in a home. Floor plan. Revise the floor plan to further enhance your living in the home. Most factories do not do this. Dutch does. Most factories say, "here is our floor plans, pick one". I like to think that Dutch has "suggested floor plans". This is part of the website is going to focus on the latter. I have included some examples of people who have chosen to customize their home. I will give you their thought process in customizing a floor plan. They primarily tell me what they want out of a home. I make that happen if I can. I am limited by codes and engineering. It has to engineer. But that still gives us a lot of that we can do. Frankly, I don't recall the factory ever saying no to one of my requests. What I have to do is get the idea from your brain to my brain and get it to the brain of the engineer. The importance of customization is not to highlight what we have done for someone else. It is to get you to think "what can we do to our home that will enhance our living in it or the property that we put the home on" One of my favorite questions to ask is "what do you want out of a new home that your present home is not giving you". Our goal is the get the home to fit to you rather than you fit to the home. Don't have time to come to Fargo? No problem. We can just do a phone appointment. We can talk floor plan, We can price out a home for you over the phone. I have sold more homes to people that I have never met in person before they ordered their home. 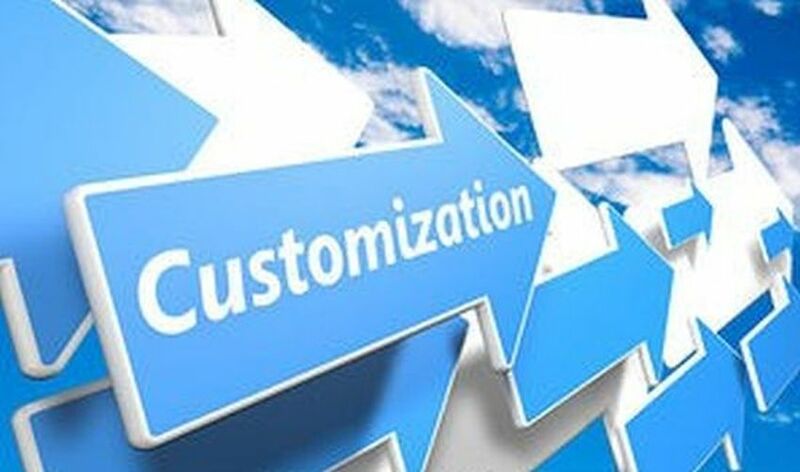 I think that you will find the customization section of the website very interesting.